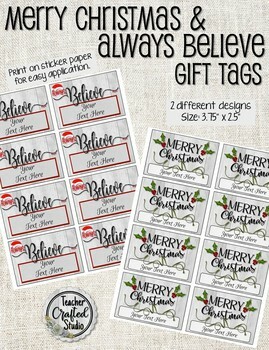 These beautifully designed Christmas tags are a great way to add a personal touch to your gifts this holiday season. Great for all those holidays gifts for your students and well as family and friends. 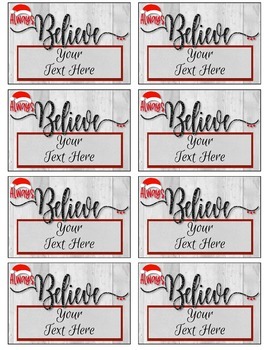 Print on photo sticker paper and add to your holiday treat plates you give away or take to work. 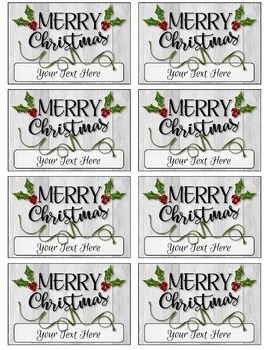 The great thing about digitial tags are you can print and use as many as you would like over and over each holiday season! ❋ 2 pages of 2 different designs sized 3.75" x 2.5"
❋ 1 editable set of each design to add your own text. 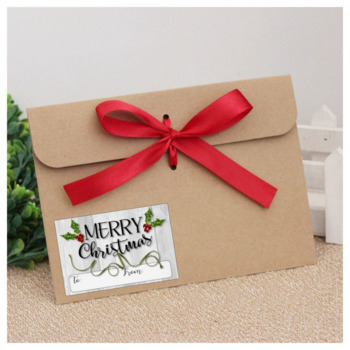 ❋ I recommend printing on cardstock or photo sticker paper. ❗Customer Tips: How to get TPT credit to use on future purchases: Please go to your My Purchases page. Beside each purchase you'll see a Provide Feedback button. Simply click it and you will be taken to a page where you can give a quick rating and leave a short comment for the product. Each time you give feedback, TPT gives you feedback credits that you use to lower the cost of your future purchases. I value your feedback greatly as it helps me determine which products are most valuable for your needs as a teacher. ★Follow me to be the first to know about my new discounts, freebies and product launches: Look for the green star next to my store logo and click it to become a follower of my store.